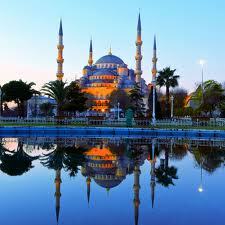 Our first call was to Istanbul. The former capital of the country until the foundation of the Republic of Turkey in the early 1920s, the once-named ‘Capital of the Empires’ has yielded some of its importance to the likes of Izmir, Antalya and the country’s capital, Ankara. Yet Istanbul is the city that Turks truly love, having previously existed for hundreds of years as the capital of the Roman, Byzantine and Ottoman Empires. Today, it is Turkey’s most important tourism, trade and industrial city, an historical peninsula that reminds one of an open air museum. Its city hills sprout more than 500 mosques, but it is the Sultan Ahmet Mosque (The Blue Mosque), with its six minarets, that is Istanbul’s all pervasive symbol. Before our delegation decamps for North-Eastern Anatolia, I make a quick visit to the Kapali Çarsi (Covered Market or Grand Bazaar). Dating back to the 15th century, this boasts over 4,000 shops and inevitably spills over with locals and tourists alike. It lines kilometres of streets and is open Monday-Saturday from 8.30am to 6.30pm. While the main streets are touristy, the back streets and warehouses continue to serve the native clientele, and although it’s impossible to visit even a tenth of the shops in the time I have at my disposable, it’s nevertheless a blast to witness so many. 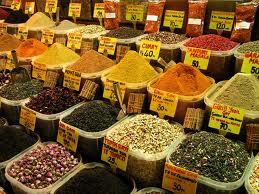 Anything you want, legal or illegal, is said to be available somewhere in the Grand Bazaar. From Istanbul we fly via Ankara to Erzurum, deep in the heart of North-Eastern Anatolia and close to the Georgian, Armenian and Iranian borders. 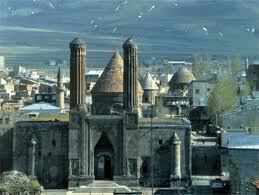 The largest city on the North-Eastern Anatolian high plateau, Erzurum was formerly the command post for the defence of Anatolia from Russian and Persian invasion. Now assuming its new role as a cultural and commercial city, it lacks the rich flamboyancy of Istanbul but makes up for it with a sturdy frontier-like ambience. 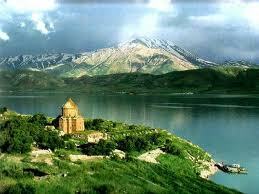 North-Eastern Anatolia is a region not known for a healthy influx of tourists. Or any tourists, for that matter. Throughout our journey we do not come across the normally ubiquitous pairs of backpackers, impish elderly couples or young honeymooners, and most definitely no one travelling solo. Mountainous and remote from the rather more sophisticated areas of Ankara and Istanbul, the region is a large slice of the real Turkey – a place that is very much unaffected by Western mores, and untainted by inconsequentialities such as modern toilet hygiene. If you’re travelling in this part of the country, be aware that you may travel by road for hours before you reach a new town. As we were travelling by bus for most of the journey, we witnessed sights that very few tourist travellers have seen: mountainous countryside swollen with military bases, trucks full of children sitting on hills of vegetables, camouflaged tractors, shepherds tending dirty-brown sheep, old men drinking thin glasses of hot çay (tea) whilst thumbing their worry beads, tanks on main streets and – the most surreal vision of all – rows upon rows of domestic beehive mud huts with satellite dishes sticking out of tufted roofs. Eventually, we reach Van, one of the furthermost Eastern towns of Turkey, and a long time ago the Eastern railhead on the line to Iran. The town (which recently suffered a hefty earthquake) has several claims to fame: it acts as a market centre for the Kurdish tribes who inhabit the mountains of extreme South-Eastern Turkey, and it is home to a unique breed of cat with one blue and one yellow eye (the David Bowie of the cat world?). The nearest place this region has to a recognisable thriving, urban centre, Van is a frontier town full of soldiers, busy adults and staring children. Despite its Foreign Legion remoteness, there are distinctly likeable touches about the town: a strong sense of weak men and sturdy women struggling with moral decisions and complex issue; the mysterious welcoming gesture of a bowl of rotting fruit in the hotel room (was the hotel management trying to tell me something? ), and the surprise presence at the breakfast table of US military top brass. We leave Van for a flight to Istanbul and from there back to Heathrow. Six days in Turkey, five in the Eastern region and not a boring minute endured. However, you wouldn’t want to go alone and you wouldn’t want to go with young children. You wouldn’t want to go expecting to be waited on hand and foot (even if you are in a nominal three-star hotel, where, if you’re lucky, everything in your bathroom works). You wouldn’t want to go for the nightlife – the bars in the area are such that 'foreign' women are clearly viewed with suspicion and 'foreign' men with barely undisguised arrogance. You would want to go, however, to see a part of the world that has not yet opened its doors to thoroughly modern living, to witness a country with a historical past that is awe inspiring (most towns in this region count their respective histories in millennia not in centuries), and to experience an occasionally bewildered if evolving community that is clearly hanging between the insurgent tendencies of old and the acceptance of the new. And one more thing: to paraphrase Keanu Reeves in The Matrix: bring books, lots of books. After all, you never know when you might need the paper. **** What To Do If you plan to travel, contact your embassy or consulate in advance and enquire about current political conditions in Turkey. The Kurdish insurgency continues in some areas, but as this seems to be diminishing, it’s becoming less of a problem. Frequent military checkpoints are a way of life in the North-Eastern region. Always carry your passport and visa. What Not To Do If you’re expecting Grade A service and toilet hygiene you’ll be sorely disappointed. Most towns and villages outside urban centres have the splayed feet, hole-in-the-ground squatting toilets. Do not under any circumstances – and I really mean this - look down. The Turks regard toilet paper as a dispensable luxury. You have been warned. Eat & Drink Tip We had six days and nights of Turkish food, which at the close of our trip left me gagging for a Big Mac and fries, washed down with a Strawberry Shake. One of only seven countries in the world which produces a surplus of food, I found it best to choose dishes that were freshly prepared (or seemed to be) and sufficiently hot. It’s also wise to make a point of eating some yoghurt every day as this will keep your digestive system free of the famous (but, alas, for some travellers, infamous) so-called Sultan’s Revenge. Not nice.